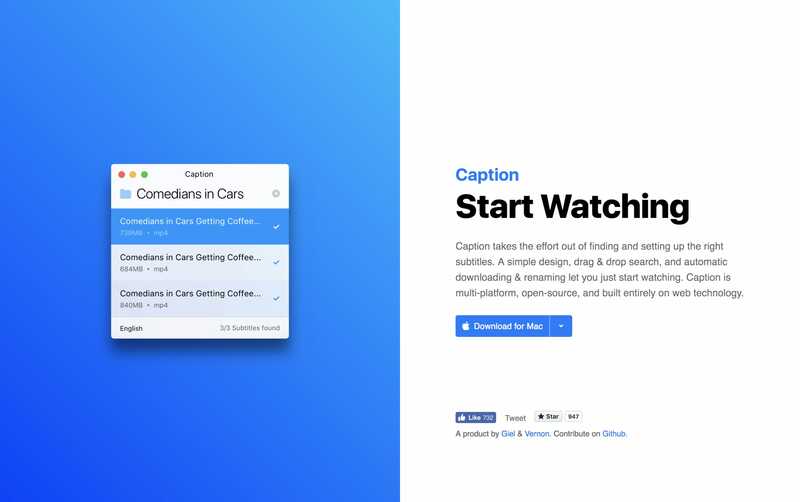 Minimal, centrally-divided One Pager for Caption – an open-source app to help quickly get the correct subtitles for your shows. Really like this down-arrow on the download button to choose other platforms. Caption takes the effort out of finding and setting up the right subtitles. A simple design, drag & drop search, and automatic downloading & renaming let you just start watching. Caption is multi-platform, open-source, and built entirely on web technology.